Encouraging and teaching other children about entrepreneurship is the goal of Jack Bonneau’s business, Jack’s Lemonade Stands. The Broomfield, Colorado resident launched his first lemonade stand last summer after his dad, Steve Bonneau, refused to buy him a $400 LEGO Death Star. “I asked him what I could do to make money and he said I should start a lemonade stand,” Jack said. Bonneau knew a traditional curbside stand would not bring in the kind of cash his son needed for the pricey toy, so he offered to front the money for Jack to take his stand to the Westminster Farmers’ Market on Sundays. Within about four weeks Jack had his LEGO set, but he wasn’t ready to give up the business. Jack had become a business wiz who, like any good entrepreneur, immediately began contemplating his next move. 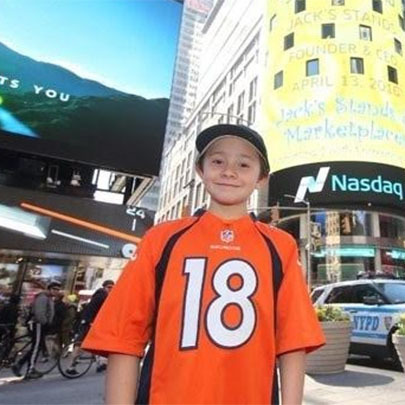 “I had a great time and I wanted to offer that to other kids,” Jack said. Jack’s Lemonade Stands teaches area kids about math, money, sales, responsibility and entrepreneurship by putting them to work at one of four farmers’ market stands. Workers split the tips and receive a commission of the day’s sales based on how much the stands make. Jack provides the wooden stand, a cash box and business tips. There is no charge to work one of Jack’s stands, though a $35 refundable fee is required to reserve a session, which can be done online at jacksstands.com. The fee is returned once participants arrive at the stand. Jack supervises more than he sells these days, making about $50 to $100 off of stands run by other kids and handing out his business cards when people ask questions about the stand. But he still gets his hands dirty on Sundays working the Westminster market on his own, bringing in about $100 to $200 a week. Cory Nieves has always had a dream of making the world better for everyone he knows. That passion, combined with a love of treats and an entrepreneurial spirit, led Cory to be the owner of Mr. Cory’s Cookies at just 9 years old. In 2009, Mr. Cory told his mother he was tired of taking the bus to school and he wanted to buy his mom a car. He crafted the idea to sell hot cocoa to raise the funds. Mr. Cory put all his spare time into selling hot cocoa at the Roman Inn in Englewood, NJ, and later in front of his home. 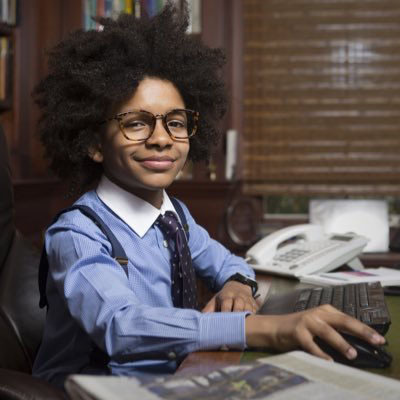 After realizing his dedication to his new “business,” Mr. Cory’s mother encouraged him to continue selling hot cocoa to save money for college. Not only did Mr. Cory keep at it, but he began selling lemonade and cookies to expand options for his loyal customers. Every item available was just $1.00, and his small customer base began expanding as word spread of his inexpensive and delicious treats – mostly the cookies. Mr. Cory’s success comes not only from his delicious treats, but from his incredibly positive attitude, big imagination and drive to succeed. Mr. Cory loves to make people happy, and looks forward to teaching kids how to start their own businesses. Zandra’s fascination with entrepreneurship began when she was 9 years old; inspired by a simple “no” from her dad. She joined the Kids Biz Small Business Development Center program at Buffalo State College Just shy of her 10th birthday. Zandra started her creative journey mixing up lip balm in her home kitchen, today she has a GMP compliant production and distribution studio. All products are handmade in small batches to maintain integrity and quality. The mission is to create high quality, fun + fresh products that smell amazing but don’t have all the unnecessary yucky stuff + chemicals. Zandra is the youngest to graduate from the all adult class of the Minority and Women Entrepreneurial Program at the University At Buffalo, a graduate of Lucky Break University and member of the National Association of Women Business Owners. As a TEDx speaker, Zandra is becoming a recognized entrepreneur due to her work in the Buffalo community and beyond. She has been featured on several news outlets such as Black Enterprise and NPR, Seventeen Magazine, Girls Life Magazine, Nickelodeon in addition to facilitating many workshops/presentations for well know organizations like BALLE, Canisius College, Girls Scouts of America and Alpha Kappa Alpha Sorority to name a few. Zandra has built a brand that gives back, it is about confidence and beauty; she believes that young ladies should be confident in their own skin and learn what beauty is from the inside out. Her hope is to inspire youth to take action and make things happen for themselves and their communities. Zandra is an agent of change, donating 10 % of all net profits to support girls education. 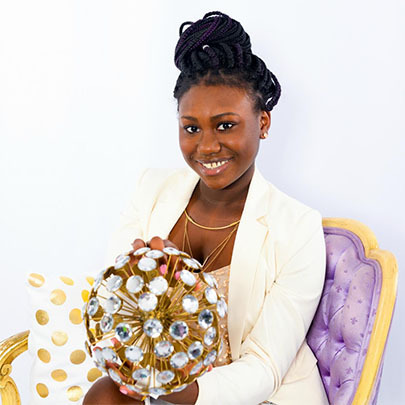 As the proud Junior Ambassador of The Women in the movement, local 10×10 Girl Rising and Day of the Girl Ambassador, Zandra is the founder of Day of the Girls Buffalo, an international movement of one, girl powered all expenses paid day for girls. Day of the Girl Buffalo has one goal: to connect girls with their community, educational options and ideas, while empowering them to discover their potential, find their best path to personal and professional success. For Xyla Foxlin, challenging labels is a habit. As a woman in engineering, she is passionate about advocating for females in the field. Xyla knows that it’s okay to be smart and fashionable– femininity and engineering are not mutually exclusive. She wants to “infiltrate the pink aisle” put an end to existing gender stereotypes by making more engineering toys for young girls with questions like, “Why can’t Rapunzel’s tower have a pulley system or a pneumatic moat?” It’s no wonder she strives to work for Disney as an Imagineer. University’s annual “Hackathon” event—where students are challenged to code a project in 24 or 36 hours—to include all types of engineering. This girl is going places. She recently launched a startup, Parihug, through which pairable teddy bears can detect when one is hugged using a fabric-based sensor suite she developed at the CWRU Sears think[ box ]. The bears connect via WiFi and vibrate when one is hugged. If both are hugged at the same time, they emit a heartbeat. 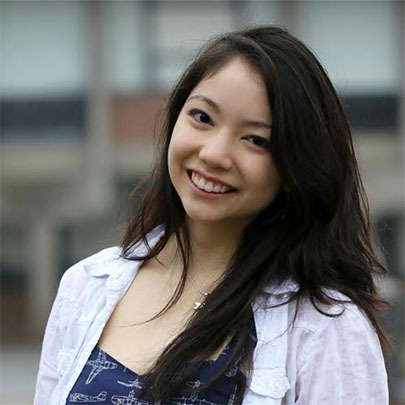 Parihug has led to many accolades for Foxlin, a rising junior studying mechanical and aerospace engineering, including a grant from 1517 (a spin-off of the Thiel Fellowship), third place at the Harvard Business School Club NEO Dively Pitch Competition and first place at Girl Power Pitch Night. She also was accepted to present at South by Southwest 2016 and accepted as a finalist to Student Startup Madness.